[Updated] Pu Tien Restaurant at Kitchener Road has been awarded 1 Michelin Star in the Singapore Michelin Guide 2016. 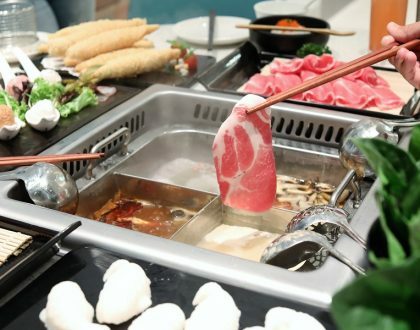 Seeking a Chinese restaurant for family meals, one often finds it hard to find a suitable place: too crowded, too expensive, or too flavourful. Pu Tien, however, should be a suitable solution. Mr Fong who started this restaurant a few years back, wanted to cater to the minority Heng Hwa dialect group staying in Singapore. I used to intern nearby, and have seen this little shop expand from a little eatery to the well-known restaurant it is now. And many of the waitresses have remained the same. The two-storey restaurant is tucked away at the run-down shophouses at Kitchener Road near Mustafa Centre. They have recently renovated with an identity mismatch. Opt for the classier Chinese contempory look on the 1st storey, or the earthy Chinese restaurant feel on the 2nd. Do not be confused with a similar sounding ‘Pu Tien Seafood’ just few shops away. This is the real McCoy. By the way, if you like the interior design downstairs (but not upstairs as it is done by a different designer), it’s the same ID who did up my place (http://loydpek.blogspot.com/). So eating at Pu Tien feels like eating at home! While you expect most waitresses at such a busy place to be rude and impatient, the service staff was adequate and ready to explain their recommendations. They were also quick to clear dirty plates and divide food portions for the table. This restaurant is known for ‘Pu Tien’ specialties, a city in Fujian famous for seafood and beehoon products. Heng Hwa cuisine, characterised by simple dishes that brings out the true flavours of the ingredients. Its specialties include Bamboo Herbal Prawn, Steamed Soon Hock, Fried Egg Plant with Pork floss, Stir Fried Yam and Steamed Razor Clams in Rice Wine. You know how you always get sweet and sour pork which is more flour and fat than meat elsewhere? The Lychee Sweet and Sour Pork offer pieces which are and succulent tender, finished with the sweet taste of lychee. Perfect combination. The Stir Fried Yam is deceivingly simple, but you can’t stop eating the yam cubes with its crispy sweet coating and soft inside. Most herbal soup items elsewhere would have been too strong with a heavy smell. With fresh succulent prawns boiled with herbal soup in a bamboo container, this signature dish of Bamboo Herbal Prawn is both novel and light to the taste. If you are a fried bee hoon fan like me, you have not tried the best until you tried the Heng Hwa Bee Hoon. It is cooked in stock with minimal ingredients like peanuts and clams, garnished with strips of seaweed. 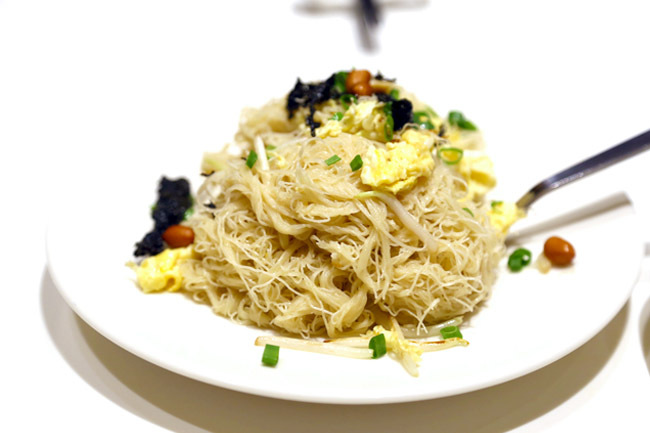 The surprisingly thin and tasty bee hoon is imported all the way from China, which assures diners of its traditional taste and quality. 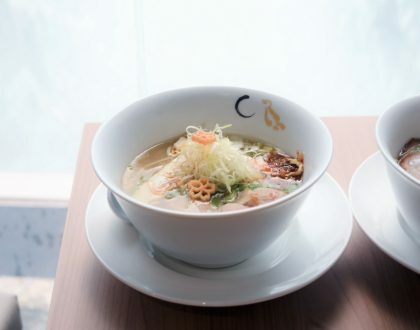 Even though the restaurant has earned rave reviews, they still keep their prices low which range from $8 to $25 a dish, and only $4 for the bee hoon. If your family does not order too much seafood, the price can come to below $20 per person. 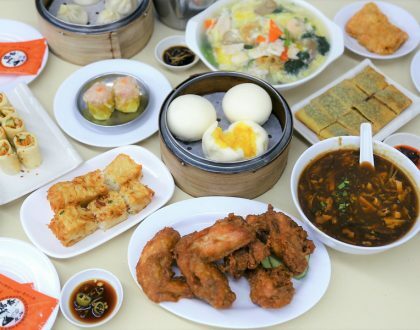 Pu Tien is a value-for-money restaurant suitable for family lunches and dinners, offering a simple yet scrumptious fare from this lesser-known dialect group. My nephew Zhi Ying at Pu Tien. Cute or Not?